On August 26th, 2010 the destruction of Morningland Dairy began. Having lost a two and half year battle with cancer of the State, the interment will take place on January 25th, 2013. People involved in all aspects of food production, be it growing, processing or distributing, should read through all the documentation [found on this blog – Hen] and understand that Morningland’s saga is the model for all independent food production under the FDA’s new Food Safety Modernization Act. Critical to this destruction are “science-based standards” as opposed to scientifically accurate controls and concerns. The Global Food Safety Initiative combined with “Good Agricultural Practices” and the “Guide to Good Farming” will ensure that an inability to feed the population will occur. Morningland Dairy is an early casualty of these “science based standards”. Joseph and Denise Dixon took over Morningland Dairy after Denise completed a two year internship with the founders of Morningland, Jim and Margie Reiner. The Dixons finalized the purchase and began improvements on the Missouri Milk Board inspected and approved raw milk cheese plant in October of 2008. The entire family was tremendously pleased because this would allow Joseph to be home with the family instead of on the road working as an electrician in the eastern half of the United States. The Dixons wanted to expand the varieties of cheese made by the company and ventured into a broader array of production. Their desire was to help other families in the historically poverty stricken Missouri Ozarks to make an actual living on the farm and allow families to stay together. They consulted with the Missouri Milk Board and arranged for two families to begin providing goat milk to Morningland and launched a popular goat milk cheese line shortly after taking over the company. Morningland had six employees and other farming families dependent upon the continuance of the cheese plant. On August 26th, 2010, it came to a screeching halt. While Joseph and Denise were at a cheese making conference in Washington State, the plant manager received a call from the Missouri Milk Board stating that there was an issue of potential contamination found by the California Department of Food and Agriculture (CDFA) in Morningland cheese. The cooler of $250,000 worth of cheese was immediately put under embargo, more accurately understood as house arrest, by the Missouri Milk Board. Don Falls, an inspector for the Milk Board, told the plant manager, “You should be back up and running by early next week.” Obviously, that wasn’t true. As a matter of fact, the very next morning, presumably after he spoke with the FDA, Falls’ entire attitude changed. Over the weekend, the FDA leaked a nation wide recall on all of Morningland’s cheese produced in 2010. Not just the two batches that California indicated might be “suspect” for contamination, but their entire year’s production. Most of the cheese implicated as “suspect” by California had already been consumed. No complaints or ill effects were reported by any of the consumers of any of Morningland’s cheese. Nonetheless, the FDA required all of their products to be recalled. Very few people realize the FDA has an armed and very military aspect. They showed up at Morningland in camouflage and made a lovely impression on those able to be at the unveiling of the future of food safety “FDA style”. 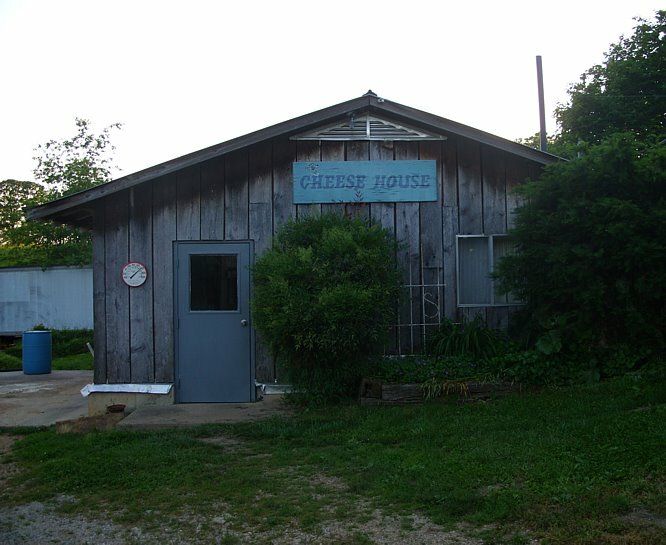 The FDA and Milk Board worked hand in hand to ensure that this little cheese plant in the midst of the Missouri Ozarks, that hadn’t made anyone sick in 30 years, would never make another batch of cheese for their loyal customers. Yet the FDA, who admit to killing 100,000 people a year, are allowed to gain ever more control over everything we take into our bodies. So the tally on deaths over the 30 year history of Morningland Dairy versus the FDA is: Morningland “Zero”, FDA “3 Million”…or somewhere near that. When pointedly asked what the specific process for getting the cheese plant back into production was, the Milk Board representative said it would involve a panel and consultation with the FDA to determine if that were a possibility. The members of the panel, other than the Milk Board and the FDA, and the specific requirements and processes were never delineated and no effort to achieve anything other than the destruction of the plant was ever evidenced by any official arm of the State of Missouri. 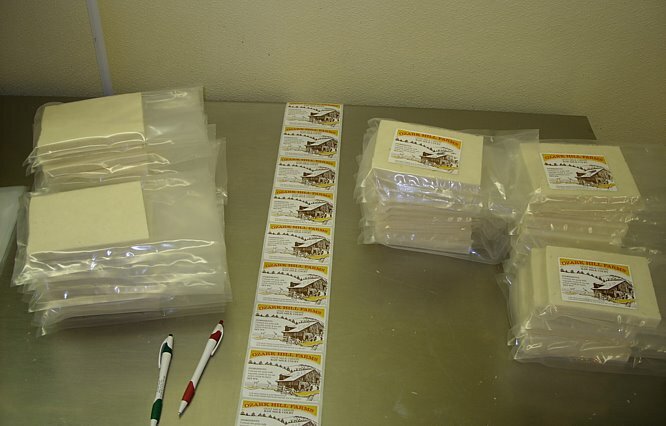 Neither the State of Missouri or the FDA ever conducted any tests on Morningland’s cheese. As a matter of fact, when Morningland tried to contract with a State approved lab to do proper tests on batches of their cheese, they were told that the lab simply did not want to get involved in the controversy. Morningland was denied the ability to legitimately test their product and defend their livelihood. While bureaucrats masquerading as “protectors of public health” continue to be paid every month for the tortures they put people through, those being raped and pillaged by the very system that is supposed to “protect” them have to somehow come to terms with the fact that their very own tax dollars are being used to continue the offense. When it became clear to the Dixons that the Missouri Milk Board was unwilling to work with them toward any resolution that would allow the cheese plant to resume operation or allow for the least bit of recompense for the $250,000 of cheese in the cooler, not even deeming the cheese safe for ultra high pasteurization to be put into dog food, Joseph contacted his previous employer and went back to work as an electrician….away from his home and family. The Dixons, parents to 12 children, steeled themselves to do what they admonished their children to do. To stand for what was right no matter what the odds against them were. After their appeal for trial by jury was denied, they knew that they would need to face a State Agency, represented by the State Attorney, in front of judges appointed by the State. While they hoped that truth would prevail and that reality would actually be addressed, they didn’t go into this battle wearing rose colored glasses. Initially, after over five weeks of dumping milk, some of their adult children milked the cows and Morningland sold into the commercial pasteurized chain, trying to make the farm pay for itself. When milk prices plummeted and the cost of feed soared, the decision to close the milk barn down was made. But the Dixons still needed to make the payment on the property they couldn’t use to make a living with any longer. They also had to pay to keep the cheese cooler running as the cheese was still under house arrest and effectively a ward of the State. With Joseph again away from home during the week, and all the expense of keeping things in tact on the farm, things were difficult. Then Denise’s father became bed-ridden and her mother broke her ankle, so Denise and the younger children went to Ohio to care for her parents. While the State employees continued to collect their wages, Denise Dixon nursed her mother back to wellness and cared for her father until he passed away. During this time, she had to make a couple of trips back to Missouri to face charges of contempt and allegations of attempting to sell illegal product. None of the human issues in the disruption of lives and the stress of such assaults by the State seem to be taken into account when figuring the costs of these kinds of actions. Should one believe the deductions set forth by Missouri’s Courts in this case, and take as fact the aspersions and allegations cast against Morningland in the court transcripts, the conclusion could be drawn that the State was the “Knight in Shining Armor” protecting the unwitting public against immoral people trying to poison their customers with products they created to be harmful. But the truth is, the truth of the matter doesn’t matter. At least not to agents of the State of Missouri, but the People of Missouri generally hold a different opinion. 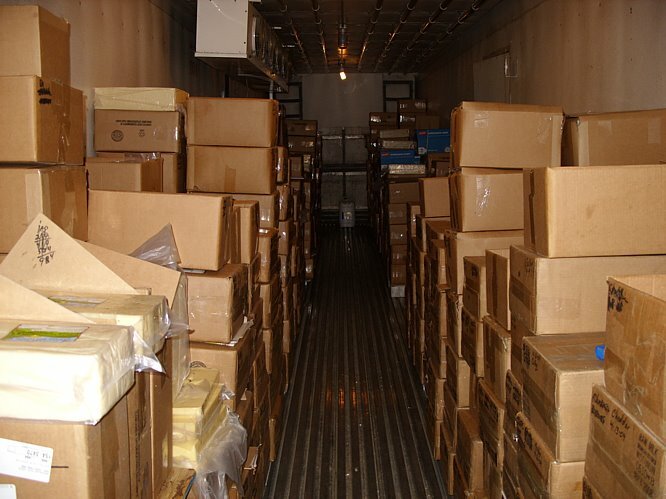 After exhausting all appeals, the cheese, still being kept cool in the refrigerator at Morningland Dairy, is set to be fully destroyed by the agents of the State, the Missouri Milk Board, on January 25th, 2013. Two and a half years later, one could reasonably argue that the untended cheese has already been destroyed, and to some extent, that would be accurate. Just imagine that you close your refrigerator door and don’t get permission to look into it for 2 ½ years. How would that look to you? While pickles or olives might still be alright, it is highly likely that your dairy products would be a little bit off after such neglect, right? 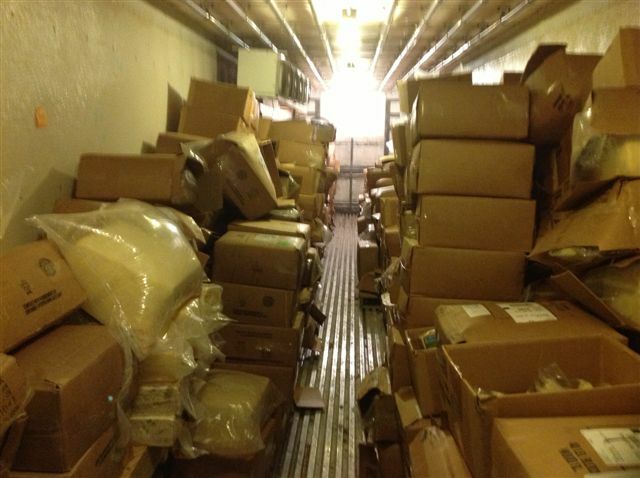 The Missouri Milk Board has ordered two dumpsters to be delivered to Morningland Dairy. So the cheese, which is “not fit for dog food”, will be put into dumpsters and delivered to a landfill to be consumed by wildlife which evidently are immune to the pathogens feared to be present. Morningland Dairy will never be in business again. No offer has been made by the Milk Board to prescribe the conditions that would need to be met by the operators to allow them to resume business. The Judge presiding over the case originally did write a regulatory prescription from the bench that was completely implausible for anyone to meet. It included a requirement to insure that no milking animal had bacteria indicative of potential mastitis at all prior to milking the animal. To put that one judicial regulation into perspective, allow me to draw a parallel for those unfamiliar with milking animals. You milk twice a day, every day. The milk is “commingled” into one tank. So, imagine this….before sending your child to school, you must take a nasal swab and have it cultured to ensure that your child is not harboring a potential bacterial infection before boarding the bus. You would have to pay for this lab technician to be present every morning and for the tests. When your child came home in the afternoon, the same process would be repeated. You would have the immense pleasure of paying for this and keeping the records to validate the bacterial level present at each measuring. While the scenario imagined above may not be literally impossible, it is certainly improbable, and it would be impossible to have any profit above the cost of production in such a scenario. But that wasn’t all that this judge set forth as regulation for Morningland from behind the bench, with no comprehension of dairy production or cheese-making The other prescriptions the judge made would have cost more than $100,000 in hard costs, with additional continuing costs for excessive testing during the cheese-making process. He also still required the destruction of all cheese in the cooler, not allowing any batches to be cleared through testing. Additionally, the Missouri Milk Board never indicated that they would accept Morningland returning to production even if they did comply with the Judge Dunlap’s outlandish prescriptions. The Missouri Milk Board nor the FDA have offered any process by which Morningland might be allowed to resume business and the courts have seemingly upheld Judge Dunlap’s regulating from the bench. Joseph and Denise Dixon of Morningland Dairy have given everything to this fight. Battling the State wasn’t really about them at all, but about our nation, our freedom, and our ability to choose food for ourselves and for our families that is truly nourishing and real. They held nothing back, but finally, the repeated systemic attacks have run their full course, and the dreams, hopes and labors of love poured into Morningland have succumbed. The Dixons no longer have those cows. They no longer have the cheese. They no longer have the family business and have lost all Joseph’s retirement savings, which the cheese represented. They are left with a skeleton. A milk barn with no cows, and a cheese plant with no milk, nor permission to ever make cheese again. On January 25th, friends and family will witness the pulling of the plug on the cooler and the removal of the $250,000 worth of food created to nourish but prevented from fulfilling it’s purpose by bureaucracy and science based standards that have no basis in true science. Rest In Peace, Morningland. Righteous judgment will come.